The new head of Customs and Border Protection said on Wednesday that the Obama administration’s leniency on deportations and deferred action programs have contributed to the increase in the number of illegal immigrant children crossing the country’s southern border. Gil Kerlikowske told the House Appropriations Homeland Security Subcommittee that the agency’s “facilities are not designed to hold these large numbers, nor are our ports of entry.” Therefore, border patrol agents should not spend their time babysitting foreign children from south of the border. 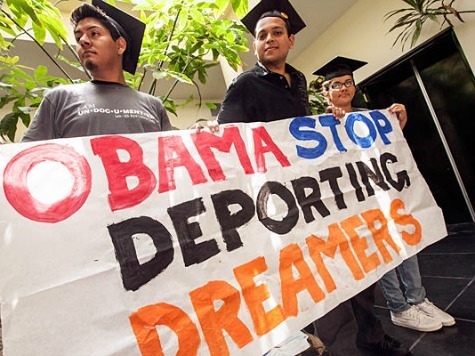 In a year that many have said would be the last chance to pass immigration legislation, Democrats and pro-amnesty advocates are pressuring Obama to enact more executive orders–perhaps for illegal immigrants who serve in the military and the parents of DREAMers–to ease deportations. As Breitbart News has also reported, though the House GOP’s immigration principles state that there “will be a zero tolerance policy for those who cross the border illegally or overstay their visas in the future,” they also state that one of the “great founding principles of our country was that children would not be punished for the mistakes of their parents.” If that is the case, it would be impossible not to perpetually give children amnesty, which is a point U.S. Citizenship and Immigration Services (USCIS) National Council President Kenneth Palinkas addressed in a letter to Rep. Bob Goodlatte (R-VA).